An egret spreads its wings above waters of the Everglades. "Climate change is a game changer" when it comes to managing major water basins across the country, says Lance Gunderson, chair of Emory's Department of Environmental Sciences. 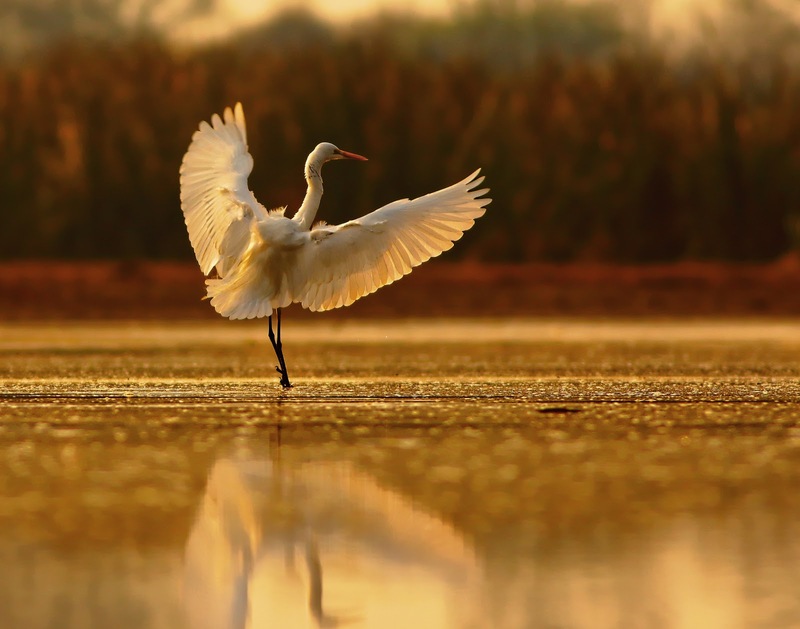 The Everglades National Park, the largest subtropical wilderness in the United States, is home to 16 different species of wading birds and rare and endangered species like the manatee, the American crocodile and the Florida panther. But the area is also home to humans. The park is a portion of a larger wetland ecosystem, more than half of which has been converted into agricultural production or urban developments. The ecosystem must provide both flood protection and supply water for the park, the agricultural interests and South Forida’s rapidly growing population of nearly eight million people. Meanwhile, a federal-state initiative to address this challenge, known as the Comprehensive Everglades Restoration Plan, is “sort of stuck in the muddle,” says Lance Gunderson, chair of Emory’s Department of Environmental Sciences. The plan was authorized in 2000 but it hasn’t made much progress. Climate change throws another wrench in the works, affecting the Everglades and other large watersheds across the United States in new and unpredictable ways. Extreme weather events and rising sea levels, combined with a growing population, will lead to “more intense arguments” about already contested issues of water quality and water usage, Gunderson says. Even without extreme events, water management is complex. The Everglades, for example, is not just an issue of restoring biological diversity. It’s an economic problem that often puts government agencies, agriculture, developers, residents, and environmental groups at loggerheads. Instead of relying on the court system or government policies, he says people need to come together in organic, self-organized ways for “adaptive governance.” Such approaches can forge new paths through a problem by trying small experiments to see if they work. The Klamath River basin, for instance, benefited by farmers and Native Americans coming together informally, instead of going to court, to talk about possible ways to reallocate water to satisfy both sides. As chair of Environmental Sciences Gunderson is also confronted with the problem of how to train students to deal with the issues that will face them when they graduate. The department is blending facets of political science, ecology, sociology, biology, geology and health into its curriculum.